Two new Ghost in the Shell posters were released today, one featuring Scarlett Johansson (The Avengers) and the other featuring the robotic geisha we saw in the trailer. The film is based on the manga by Masamune Shirow (first published in 1989) and the resulting 1995 anime (with some elements from the 2004 sort-of sequel Ghost In the Shell 2: Innocence). If you’re not familiar with the story, it’s the story of the cyber terrorism unit set in the future known as Section 9. In this future, most people have some sort of cybernetic enhancements, but The Major (Johanson) has a fully cyborg body. Section 9 fights a new enemy as Major tries to come to terms with her humanity. RELATED: WETA Ghost In the Shell Major and Geisha Collectibles Are Here! 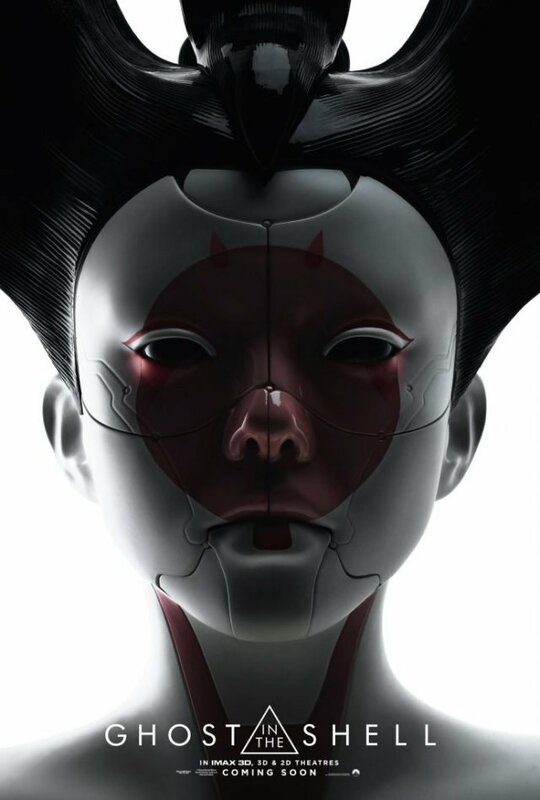 In the second poster, we get a close up look at the robotic geisha that we also saw in the trailer. You know, the one who’s face opens up. It’s pretty creepy. 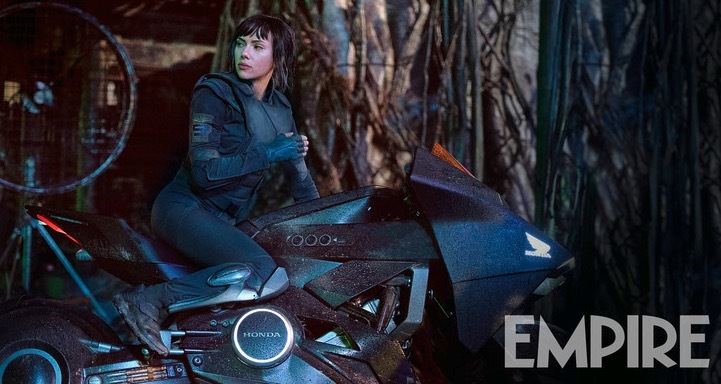 In addition to the Ghost in the Shell posters, Empire posted a brand new pic that shows Major on a motorbike. In the film, we’re going to see a number of moments that fans will remember from the anime, including the garbage truck battle, the shelling sequence and, as we’ve seen, Major’s thermoptic suit. Ghost in the Shell stars Johansson, Takeshi Kitano, Juliette Binoche, Pilou Asbæk, Kaori Momoi, Chin Han, Danusia Samal, Yutaka Izumihara, Tuwanda Manyimo, Rila Fukushima and is directed by Rupert Sanders. The film will hit theaters on March 31, 2017. 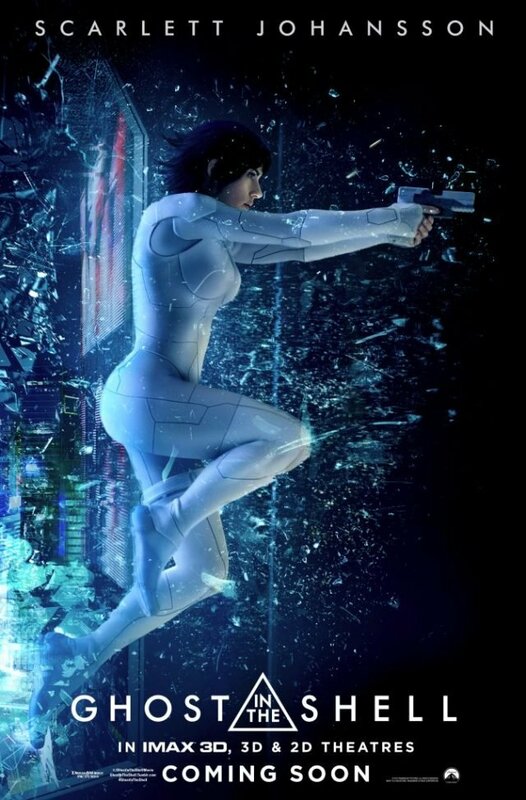 What do you guys think of the Ghost in the Shell posters? Let us know in the comments or tweet us @ComingSoonnet!